Tile roofing systems provide a safe and durable home covering. Tile is available in a wide variety of colors and styles. Tile offers a southwestern look to any home in the valley of the sun. 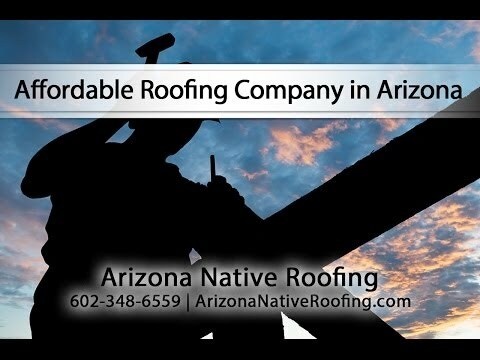 With proper installation tile roofs are a cost-effective choice for steep-slope roofing in Arizona. Roof tile is made of concrete or clay, which is manufactured from basic raw materials such as sand, clay, cement and water. Tile has a distinct look of its own on any home or business, and with hundreds of color options available today, you can design your roof in a variety of different ways. Tile roofing is the preferred choice for a majority of homeowners in the state of Arizona. Shingle Roof Systems lead the American re-roofing market. People are looking for a quality product that lasts. Ideal for steep slope systems, Wickenburg shingle roofing is a common roof in Arizona. Shingles stand up to all weather conditions and require minimal maintenance. They are available in many manufacturing grades with life spans that can range from 20 years to limited lifetime warranties. Depending on the aesthetic needs of a homeowner, shingles are now available in many different colors and styles. Spraying a roof with Polyurethane Foam Sprayed Polyurethane Foam (SPF) is a roofing system that provides a unique approach to combat the extreme heat and weather conditions here in Arizona. Foam roofing is lightweight, non-toxic, durable, and weather-resistant. SPF reduces energy costs and noise. It also allows for contours to create slope and drainage on any roof. SPF is ideal for unusual shapes and configurations on even the most challenging roof designs, and creates a long-term envelope of protection to your home or facility and its contents. Skylights provide daylight and ventilation to your home, so you don’t have to keep the lights on during the day, while helping you save money on electric bills. Whenever you feel something is wrong or or out of place with your skylight, we can diagnose the problem and either repair it or replace it with a new one. We also offer waterproofing systems for your walkdeck needs. We offer urethane walkdeck systems. Walkdecks are a multi application process with fiberglass matte embedded in the seams. We apply a rubber aggregate to the walkdeck for a no slip surface. Walkdecks by Arizona Native Roofing come in a wide variety of colors, but we typically offer tan or grey. Roofing materials generally have a lifespan of up to 20 or 30 years, but sometimes any kind of leak or damage can appear. If anything happens, don’t hesitate to contact us. Our Phoenix roofing contractors can repair and re-roof the existing tile you are currently using and recycle the one you already have.